 Taste: This coffee is very smooth with strong earthy tones, a hint of smokiness and a rich caramel finish. It is a light roast coffee but without any bitterness or acidity. The aroma is just fabulous. Very rarely available outside of Cuba as production is strictly controlled. Each pack is heat sealed to ensure your coffee remains fresh and in best possible condition.